While any car owner dreads discovering that their car has been stolen, just having your car broken into is not a welcome experience either. 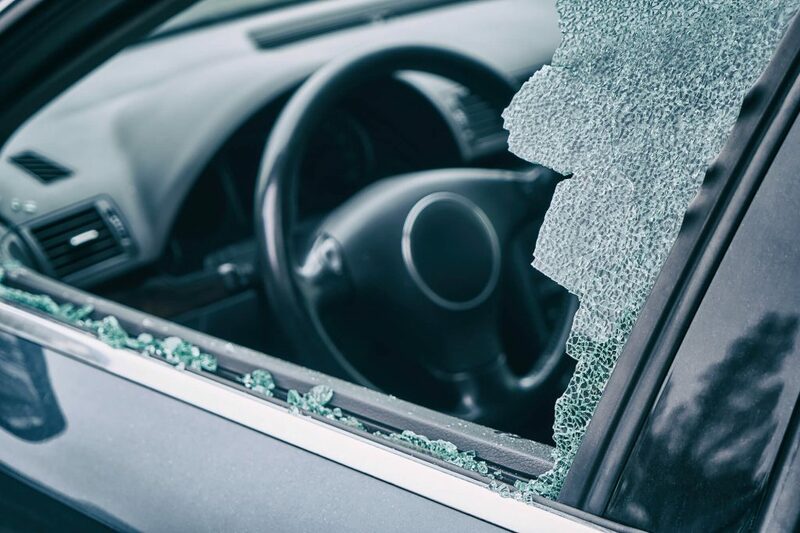 A smash-and-grab – where someone breaks a car window in order to steal items in the car, but not the car itself – is an opportunistic crime that anyone can be a victim of and doesn’t require a lot of time. Leaving your car unattended for five minutes is more than enough time for someone to smash a window, and make off with your wallet, laptop, or other valuables you left in the car. It’s the reason police and insurers frequently remind the public to not leave valuable items in cars – and trying to conceal them isn’t always enough of a deterrent. But nothing prepares you for the day you get to your car and find a side window smashed, and although the following tips will guide you on what steps to follow, you best line of defence will always be to try and park your car in a secure space at all times. The great thing about the prevalence of smartphones is that many of us have a pretty good digital camera with us at all times. Use it to take photos of the damage, and the location of your car, but do so without touching the car or moving anything in the car. The police or your insurer could request photographic evidence. Even if you can tell that nothing was stolen you should still report the crime to the police. This not only helps them build up a profile of crime in the area, but they may also be able to link it to other break-ins in the area, making it easier to track down suspects. Your first contact with the police should be telephonic and still without you having touched or moved the car; they will advise you whether they will come to the scene to file a report, or if you can move the car and file a report in person. Stolen cash, electronics, and other personal items are obviously important to note, but also consider whether your house keys or garage remote where in the car and are now missing. Also think about credit, debit, and store cards in your wallet or purse. These could all lead to other crimes, from a house break-in, to identity theft, and unauthorised spending on your cards. You may need to get a locksmith out and get your bank to freeze your cards. If you have comprehensive car insurance, your insurer may cover the cost of having it replaced, minus your excess. But it doesn’t make sense to go this route if the cost of replacing the window is minor, since this could affect your premium or No Claim Discount (NCD). With Instant Windscreens – car window replacement can be done as part of an insurance claim, or out of your own pocket, but either way you know that the work and the materials are all covered by a lifetime warranty, and there’s no risk of damaging windows seals or winding mechanisms.